Hi everyone! Happy September to you all. This is probably one of my favorite months- cooler weather, fall food and drinks (especially pumpkin beer), sweater and boots come out, and I don't feel like I'm going to pass out when I spend more than 10 minutes outside. Before we get to that, it's time to recap my month of August, which ended up being a lot of fun with some exciting activities happening. It seems like every weekend was busy, which is just how I like my months! 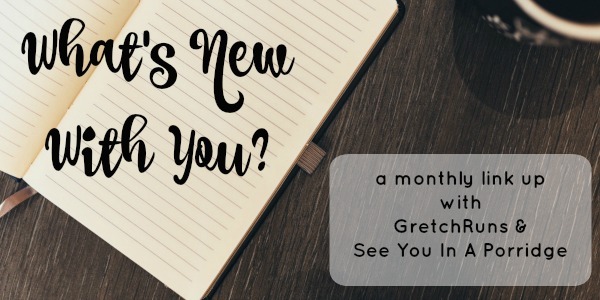 I would love to hear what you got up to in August as well, so make sure you join the monthly linkup with Kristen and me by linking up below! Do Something Crafty. Eek, definitely didn't do well with this in August. I'm going to make the excuse that I spent a lot of time outdoors to enjoy the nice weather. I'm sure I'll pick up with this goal again when it starts to get colder outside, but for now I'm not worried about it. Be Musical. I have still kept up with the piano and have been playing that like crazy. I'm learning a few songs that sound pretty good (in my opinion at least) and it's been a great way to relax at the end of the day! I got my wisdom teeth out earlier this month, so I've been afraid to play the sax. I can just imagine starting to play and blowing out my stitches! I also realized that I unfortunately won't be able to join the symphonic band that I wanted to (the concert dates are all days that I'm busy and I would have to miss a bunch of practices). So- for now I'll just be playing at home! Stay Active. This was an amazing month for me, fitness-wise. I started training for my next race, the Buffalo Creek Half Marathon. Training has been going really well, and I've been keeping up with group runs in the form of long runs on the weekend and speed workouts with Jessie. I've also been spending a lot of time outside doing things like kayaking, stand-up paddleboarding (just got my own during a big Labor Day sale at LL Bean! ), and hiking. Drink Beer! We didn't make a new batch of beer this month (definitely need to get on that soon), but we did visit a new brewery- North Country Brewing. It's located at Slippery Rock University, so we spent half a day up there walking around campus and drinking beer. I really liked the brewery and would definitely put it at the top of my list of favorites in the area. Now that it's officially pumpkin and Oktoberfest beer weather, I'm looking forward to trying out even more places. I went camping! I'm going to be sharing more about this in a post tomorrow, but I went on my first camping trip over Labor Day weekend with my old college roommate and her boyfriend, as well as her brother and his girlfriend. The six of us had such a fun time and I'm looking forward to even more camping trips this fall. Dan and I are hoping to get out for at least one more trip before it gets too cold. If anyone in the Pittsburgh area has suggestions on good camping grounds to try out please let me know! We're planning our next trip...to Ireland and Scotland! Dan found a great deal on Groupon, so we jumped on it and bought it immediately. For the past few years, any time that someone's asked what was on my short list of countries to visit, I always mentioned these two, so I'm REALLY excited to go! Included in the Groupon is a car rental, so I'm sure we'll get to see a ton of the beautiful country side. Problem is- there's so much I want to see and so little time (only 3 days in each place). If anyone has suggestions on must-see or do or eat or drink places, let me know! What's on your list of must-see countries or cities? The past few seasons of DWTS I haven't been very excited about the cast, but this season I am! Haven't decided on a favorite yet. It's going to be such a good season! Oh man that made my skin crawl thinking about the sax and the stitches! Hope you heal up real quick! And I have always wanted to go to Ireland! So gorgeous! So excited for your next travel adventures! Will you be trying haggis there? Just a wee bit? Out of all the countries I've been to...the Scots were the hardest for me to understand. After making them repeat themselves the third time, I just nodded my head. :) I also remember tartan everything (even on the bus seats)! I have only been to London and that was last year, but I do hope to make it at least Ireland someday - that's on my mom's current bucket list. That's great you got a nice Groupon deal. I like looking at those sometimes!! I loved Cincinnati! It was my second time being there and we got to see different areas. I haven't been able to catch DWTS for a few seasons but I might try to catch this season. Please do a post later on about how the Groupon-travel worked out. I get those emails and I'm so tempted to click 'buy' but I'm nervous about what I might find when I get there. Yes to all the pumpkin everything!! I will definitely share! I've used Groupon in the past for travel and it's always been a great experience. Mmmm pumpkin beer. One of my favorite aspects of fall! As for travel, my next US trip is Las Vegas, and hoping to get to Iceland next year. Sounds like you got a great deal on your trip, and I always hear about how beautiful and fun those two countries are! When are you going? Hope you have an amazing time! We did Ireland with a quick foray into Scotland last November for my Dad's 60th and loved it! You will have a blast! Ahh that's great to hear! It looks like you had a pretty active month! I'm so jealous of your trip to Scotland and Ireland! I've always been intrigued by Groupon trips, but I've never bitten the bullet. Can't wait to hear all about it! I love getting good deals on there! 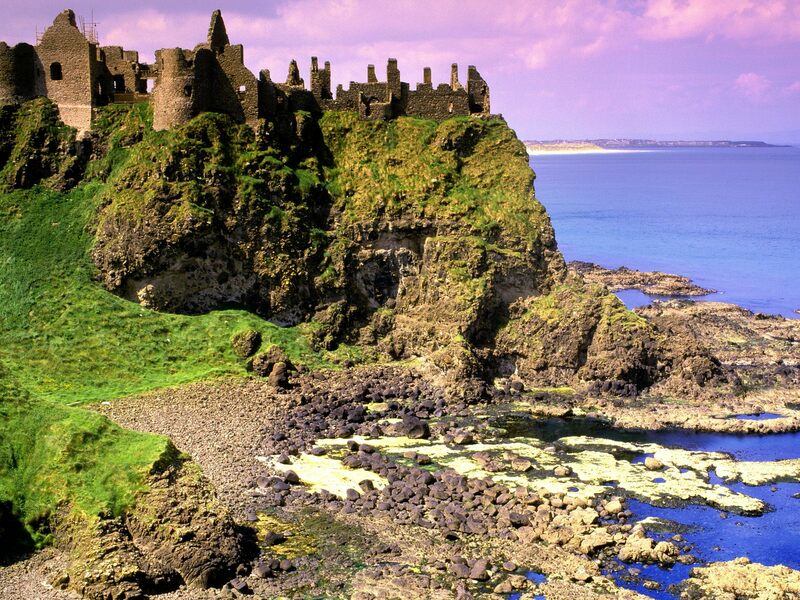 Your trip to Ireland and Scotland sounds like it will be awesome! Ireland and Scotland??? I want to go!!! That brewery you visited looks so cool! Congrats on the training progress. I got my wisdom teeth out a few years ago, it was a rough week or worrying that I was going to do something to mess it up! You have been busy! I love that one of your goals was to get musical! I also can't wait to see what you do in Ireland and Scotland! We're thinking about a UK trip in the spring of 2019. I thought of you because Alex went to the US open and saw Venus play! I've never been to Scotland but Ireland is beautiful. Too cool that you guys saw a deal and just went for it. We're not that spontaneous, lol. I'd love to see a professional tennis match live! i am SO jealous of your Ireland and Scotland trip!! I have only been to Dublin and we liked it but don't know if we will go back. Not in a bad way, just in a .. eh way? Glad we went, but I'd love to see more of the country vs Dublin again if that makes sense. That being said, we only had a couple of days in Dublin and it was 100% too much time, if we'd had an extra day or two I would have seen more of the countryside. It looks beautiful. So if we go back that is what we will do. and ugh Scotland!!! I want to go so bad. It looks amazing. So freaking beautiful. TAKE ALL THE PICTURES. Sorry I missed the linkup this month but this was such a good update! And you know I'm excited about the DWTS cast too! I think Nick Lachey will be really good and I think it's fun that they paired husband/wife vs. husband wife. I'm not all that familiar with a lot of the cast members but I know I'll enjoy watching anyway. Yay for Ireland and Scotland! I hope you have a brilliant time. I've recently decided I'll be scouring Groupon for trips because stuff is SO expensive here. Let me know how your experience is with them? My niece has just started playing the piano and it's bringing it all back for me! Of course she's learning it differently to what I know and I'm scared to help in case I confuse her more (or go against the way she's being taught etc) but it's nice to be around music learners.